Twitter | Refined Designer // Casual, inspired, creative. Tweet away and don’t forget to add the hashtag, #triviatuesday! On Sunday, February 15th, 2009, Refined Designer was launched. The website features a collection of web design projects that I have completed for clients over the years. You can check it out at: http://www.refineddesigner.com. Emails. I’m constantly checking work emails for new web design projects (who isn’t?). Work. I am 100% passionate about my job, so when I work, I work hard. Projects usually involve creating multiple design comps, which can be quite time-consuming. Field trips. As a government contractor, it’s all about pleasing the client. Even if it involves field trips, such as running errands at the Pentagon. Twitter. I love using TweetDeck, a Twitter interface for my desktop, to read the latest hot finds that other web gurus have posted. You can follow my tweets at @kristinandrews. 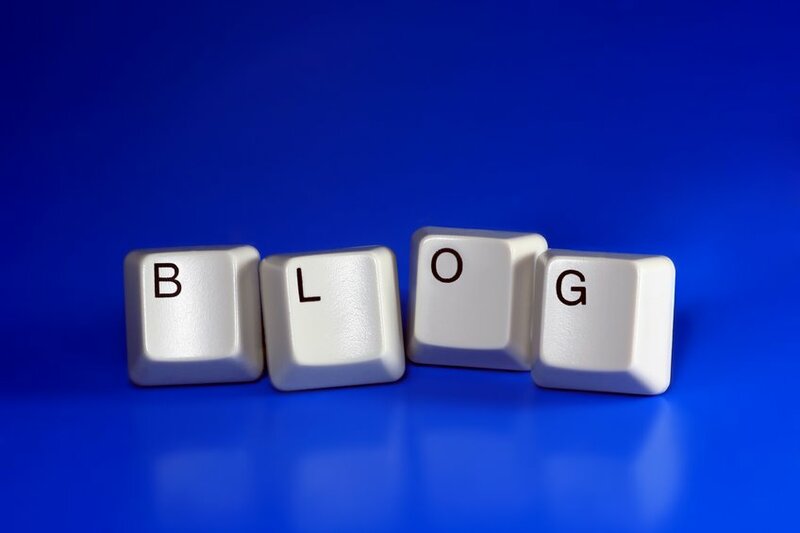 Other Blogs. I like to keep up with others in the industry, so during downtime, I scan my favorite blogs for today’s posts. My favorites: Smashing Magazine (by the way, they wrote a great post on 2009 Web Trends), Web Designer Depot, You the Designer, Just Creative Design, Outlaw Design Blog, and ILoveTypography. Occasionally I’ll drop by Cameron Moll or Jeffrey Zeldman’s place on the web. My Blog. When I feel inspired, I zip over here and craft up a post or two for the day. Tutorials. It’s imperative to practice design, so I like to work with Photoshop tutorials on the web. Play. When you work hard, you play hard. Web designers like to play, too. It’s not unusual to fire nerf gun darts and foam hand grenades at coworkers around the office. Overall, good web designers do a lot to keep up with the industry. They eat, breathe, sleep web design. Oftentimes, many have a freelance business on the side or as their primary source of income. Either way, it’s a fun industry to keep up with. While I’m no expert, I am passionate about what I do and love to spread the word about great finds. I’m always open to answering questions, so fire away! Striking similarity. Does anyone know if these two websites were designed by the same people and if it was okayed with Barack Obama, assuming that his campaign come up with the design? Thanks to @alifelski for the tweet. You can check out her website at http://www.alifelski.com. Note that my latest post is at the top and to the right you’ll see a short bio about myself, which tells others what kind of twitter updates they’ll most likely get about myself. Now, back to my new follower, @gwenbell. After doing some simple research about her on her website, I found out that she is the one who was recently proposed to over Twitter. I had heard about a couple becoming engaged over Twitter and didn’t quite know what to make of it. At first I thought it was kind of geeky, but then I smiled, because it is such an original way to propose. I’ll let her tell you the story of how they became engaged. Check out the proposal blog post on her website. Tags: 2009, Barack Obama, Government, Inauguration, Lodging, Planning ahead, Twitter, Washington D.C. The D.C. Council is considering legislation today that would allow bars to serve alcohol until 5 a.m. — three hours longer than current regulations allow — and remain open 24 hours a day from Jan. 17 through 21 to serve crowds in town for the inauguration. The bill, offered by council member Jim Graham (D-Ward 1), is up for a vote at today’s legislative meeting. “This is absolutely a unique opportunity, and we want our night life to participate in all of the activities and events during the Inauguration,” Graham told Post reporter Hamil R. Harris today… see Washington Post article. Metrorail will operate rush hour service for 15 consecutive hours (4 a.m. to 7 p.m.), will stay open for two extra hours (until 2 a.m.), offer free parking at its facilities and will be one important transportation alternative for people who are planning to attend the Inauguration of President-elect Barack Obama on Tuesday, January 20, 2009. Metro officials expect extremely crowded conditions on Inauguration Day. Metrorail stations and trains will be packed as people head to the Inauguration, and expect to see even tighter conditions afterward. Expect the crowds to be huge with hundreds of thousands of people expected to be in the nation’s capital not only for Inauguration Day, but for the days preceding it as well… see Metro website. As an avid Twitter follower, (@kristinandrews) I often come across great tweets by others. I follow a lot of designers so that I can build a network of design professionals like me. It’s a great resource for inspiration and to keep up on the latest in the web design industry. Formatting Text. Kind of like what I’m doing with breaking up the paragraphs and listing items in number format for readability. Recap in first 2 sentences. Your reader wants to know what the post is about right away. Use Images. Pictures speak a thousand words. People, including myself, like visualizing what the reader is saying. Devote time. I’m guilty of not following this one like I should. Craft your blog post with resources for the reader. Interactivity. Present the reader with events, competitions, and other things he or she can partake in. Network. Get connected with others like you and have a link to one another. Commenting. Respond to people who have taken the time to spill their thoughts.